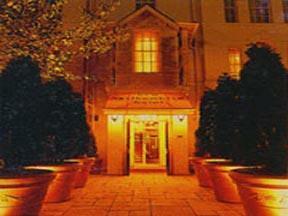 Choose from 94 hotels and guest houses in Tyne and Wear. Shown below a just a selection of the hotels available. To search within an area please use the menu on the right. Just a 2-minute walk from the main entrance to Newcastle Airport, this modern hotel offers great value, with free parking, a bar, a restaurant and comfortable, spacious en suite rooms. The Premier Inn Newcastle Airport is right next to the Newcastle Airport Metro Station and there is a regular Metro service to Newcastle, Gateshead and Sunderland. The hotel has a 24-hour reception desk and some rooms can take 2 adults and up to 2 children (under 16 years). The 2 children also get a free full breakfast when accompanied by an adult eating a full breakfast. An all-you-can-eat buffet breakfast is available each morning and includes scrambled, fried, poached or boiled eggs, and pork or vegetarian sausages. There is also a wide continental selection. The on-site restaurant and bar offers good food and drink at reasonable prices. Free on-site parking is available for guests during their stay and there are independent long-stay car parks nearby. These budget rooms are close to Newcastle Central Railway Station and walking distance from Newcastle city centre. Newcastle College is located opposite. Rooms Inn provides good facilities and service at budget prices. The guest rooms include en suite facilities, a TV and tea/coffee making facilities. The hotel has a spacious private car park that is free of charge. The largest and most impressive hotel in Whitley Bay, centrally located on South Parade, the Windsor is situated within sight of the sea on the scenic Northumbrian coast. The hotel's Bazil Brasserie offers an extensive menu and daily specials, where you can enjoy quality international dishes and fine wines in elegant and comfortable surroundings. Recently acquiring an accolade from the RAC, dishes here draw from fresh, regional produce. The Garden conference room can seat up to 80 delegates and is equipped with the latest audio visual technology, including a digital projector and DVD player. A sound loop is also provided for the hard of hearing. Syndicate rooms are also located close to this room. Experience this beautiful seaside resort, a short journey from the vibrant city of Newcastle, with The Windsor Hotel. Luxury apartments conveniently located in Newcastle's leafy and cosmopolitan suburb of Jesmond, with easy access to major motorways, airports and rail links. 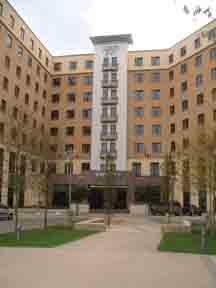 Kensington House Aparthotel has 23 serviced apartments. Every spacious apartment is individually and imaginatively designed, and furnished to the highest standards with impeccable taste. 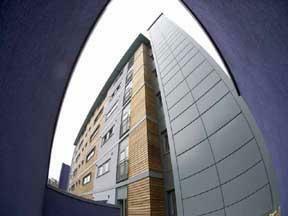 The aparthotel offers a variety of 2-bedroom apartments with external car parking. Newcastle's vibrant city centre is close by, and there is easy access to rolling hills and the historic coastline, making Kensington House the ideal location for all your needs. The New Royal Hotel offers refurbished en suite rooms (some with sea views) and excellent facilities for all types of visitors, including an Italian restaurant. The restaurant at The New Royal Hotel has been recently transformed into the Tavistock Italia, a leading Italian restaurant brand in the North East. It is open for up to 70 diners from 12:00 to 14:30, and from 17:00 to 22:30. 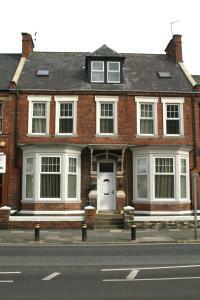 Well-placed in Whitley Bay, The New Royal Hotel welcomes stag and hen party bookings. A short drive or easy Metro ride from Newcastle Airport, this Premier Inn hotel is also a 15-minute Metro trip from Newcastle city centre. Enjoy free parking and an on-site pub. 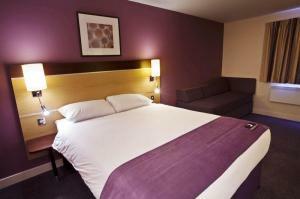 The Premier Inn Newcastle Airport (South) is beside Callerton Parkway Metro Station, just 1 stop from Newcastle Airport. The Two For One pub-restaurant offers great deals every day. Some rooms can take 2 adults and up to 2 children (under 16 years). The 2 children also get a free full breakfast when accompanied by an adult eating a full breakfast. The full all-you-can-eat breakfast has the expected cooked items, including vegetarian sausages, as well as a wide continental selection. Service and attention to detail make this a great hotel. Ideal location for business or pleasure. Discover what really sets us apart and meet our enthusiastic and professional team. You can expect a well equipped room, you can dine in two of the best restaurants in the north and can visit our vibrant bar/cafe, all without leaving your hotel. A hotel with excellent road links, ideally located for historic Durham, and Sunderland and Newcastle city centres. Perfect for shopping trips where you can shop till you drop in the day, before returning to the hotel to escape the crowds. 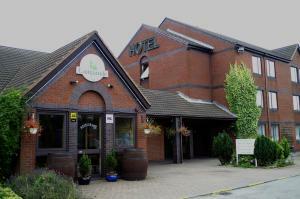 Just off the A1(M) Junction 64, this hotel suits a quick and convenient overnight stay, or an extended break to tour and explore the surrounding cities. 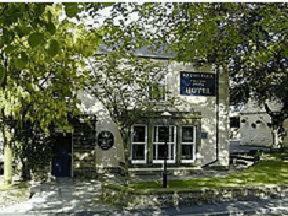 The well-established, comfortable hotel has free car parking and staff to welcome you warmly. Traders Restaurant, plus a newly refurbished lounge and bar area provide pleasant spaces to relax. Situated on the site of Clubbon Hall, taking its name from the nearby Ravensworth Castle, this characterful pub offers quality food and accommodation, and boasts a wealth of literary connections. The Ravensworth Arms is famous as the place where Lewis Carroll wrote his immortal classic 'Alice in Wonderland', it is also believed that Catherine Cookson was conceived here as her mother Kate worked behind the bar. This quality establishment is situated in a peaceful countryside setting in the charming village of Lamesley. Despite its peaceful location, it is within reach of the many amenities in Tyne and Wear, with quick connections to all major transport links, business areas and local attractions. Situated in a picturesque setting yet conveniently just off the A1, The Ravensworth Arms is a great option, whatever your reason for visiting. All rooms recently refurbished to a high standard. With free parking and good-value en suite rooms, this stylish and modern hotel is just off the A1(M) and only 2.5 miles (4 km) from Newcastle's city centre, the Metro Centre and the quay-side nightlife. 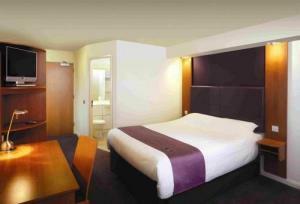 The Premier Inn Newcastle Team Valley has rooms with comfortable beds and luxury power showers. There is also a restaurant/bar. Some rooms can take 2 adults and up to 2 children (under 16 years). The 2 children also get a free full breakfast when accompanied by an adult eating a full breakfast. The full all-you-can-eat breakfast includes cooked items, vegetarian options and a wide continental selection. With good access by road to Newcastle, Sunderland and Durham, this hotel boasts excellent facilities, including a restaurant, brasserie, lounge bar, beauty salon and an 18-hole championship golf course. The hotel makes a good base for all and is great for a weekend away in a place that has something for everyone. Shopaholics will enjoy the famous Metro Centre shopping mall, while Northumbria boasts beautiful coastlines and historic sights. There are themed evenings on selected Friday, Saturday and Sunday nights. A number of meeting rooms are available to accommodate anything from 2 to 180 delegates. The Washington Suite, with its own bar, can seat up to 180 people (theatre-style) and is ideal for audiovisual presentations. The suite is also great for private functions, easily accommodating 150 guests for a dinner dance. The hotel has 104 rooms and is continually being updated with the greatest consideration for guests, so disruption is minimal. Jurys Inn Newcastle is ideally located in the heart of Newcastle's city centre. Just a short stroll from the main shopping and commercial centres, the Inn is perfectly placed. Ideally located near to the International Centre for Life, Central Station, Eldon Square and St James's Park football stadium, we offer bright, spacious rooms, which can accommodate up to three adults or two adults and two children and our fixed rate room pricing offers outstanding value for money. Our central location, public parking close by and Dedicated meeting rooms - the perfect solution for small to medium meetings, make Jurys Inn Newcastle the perfect location for business meetings. Metro Inns Newcastle is your premier choice for cheap hotel accommodation whether your travel is for business or holiday. Our clean hotel is based in a convenient location for Newcastle with good rail and road links. Take a break from other expensive hotels, motels, guest houses and bed and breakfasts and try our cheap, clean and friendly hotel. Ideally located in the heart of vibrant Newcastle upon Tyne, these 4-star (Visit Britain accredited) serviced apartments offer business and leisure guests the ideal alternative to a traditional hotel. Only a 5-minute walk from Newcastle Central station with local Metro and main rail links, Premier Apartments are within easy reach of all the North-East's cities, such as Sunderland and Durham, as well as local attractions. The apartments are within walking distance of the famous St James Park and the Metro Radio Arena, and Sage Gateshead is just across the river. The Apartments are an ideal base for all major local attractions and events, such as the Great North Run and major musical events. A short walk from the airport's terminal building and just a 15-minute metro ride from Newcastle city centre, this modern hotel offers a gym, restaurant, bar and on-site parking. The Britannia Hotel is well situated for visiting the city centre, avoiding the noise and stress of actually staying there. A regular, direct metro link from the airport straight into central Newcastle takes less than 15 minutes. Newcastle Airport's terminal building is less than 3 minutes' walk from the hotel's front door. With the A1 trunk road less than 4.8 km (3 miles) away, you can visit all the area's most popular attractions such as the Metro shopping centre, the Angel of the North, Gateshead Stadium and the Northumberland coastline - including Bamburgh, Holy Island, The Farne Islands and Seahouses. Also, within the region are more historical areas such as Durham Cathedral, Hexham, Corbridge and Hadrian's Wall. Overlooking the broad sweep of Whitley Bay's golden sands, this family guest accommodation hotel forms part of an Edwardian terrace. Here, you will find a wide selection of en suite accommodation, with sea front, family and ground floor rooms available. As well as beautiful coastline to explore, Whitley Bay boasts a wide variety of quality restaurants and is only a short drive from the entertainments of Newcastle. Enjoy the warm welcome and personal attention provided by the Marlborough Hotel, but please note that bed and breakfast is on offer only. In 12 acres of parkland, in a convenient location just off the A1, this 4-star hotel offers luxurious, modern rooms; award-winning dining; and superb leisure and business facilities. The Newcastle Marriott Hotel Gosforth Park has a convenient location, with good access to the area's major roads. The vibrant city centre and Newcastle International Airport are within easy reach. Inside, the hotel's stylish lobby leads to spacious, beautifully renovated rooms boasting luxurious new bedding and high-speed internet access. The Plate Restaurant hosts live music every Saturday evening and has received an AA Rosette for the quality of its food. Chats Cafe Bar offers lighter snacks and beverages. The impressive leisure facilities include a well-equipped gym, tennis courts, a heated indoor pool with spa bath, a sauna, squash courts and a hair and beauty salon. Family run for over 20 years, Oaktree Lodge has a great reputation for quality and service. Modern guest rooms are non smoking with en suite showers, LCD TV (Freeview) and free Wi-Fi. Oaktree Lodge has a modern bar/coffee lounge with high-speed Wi-Fi internet access and a large plasma-screen TV. In a quiet location just minutes away from Whitley Bay town centre, the lodge is very popular with families and business/leisure guests. Oaktree Lodge does not accept bookings from stag or hen parties. 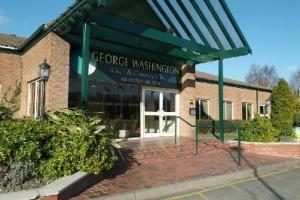 Ideally located just of junction 64 of the A1(M), the Campanile Washington offer excellent value for money. All our comfortably furnished rooms have en suite facilities, including TV (with sky channel), direct telephone line and Wi-Fi. There are a restaurant and bar which offer quality, good value dishes and snacks throughout the day. Our fully equipped conference room is suitable for informal meetings and presentations and can seat up to 30 people (theatre style). Close to the Metro Centre, Newcastle Arena, Hadrian's Wall and the Northumbrian countryside, this hotel in leafy, suburban Jesmond is just minutes from the city centre. With a secure car park and good transport links, the 2-star AA hotel offers cheery service, and is ideal for both business travellers and tourists. Blanc, the hotel's very popular and lively wine bar and lounge, offers a good selection of beer, wines and spirits. A variety of sensibly priced bar meals are also available. A modern, recently refurbished restaurant features a selection of English dishes and is open daily from 18:00 until midnight. Directly opposite Newcastle Central Railway Station, right in the heart of the city, this magnificent, beautifully preserved 19th-century building is now a comfortable, modern hotel. 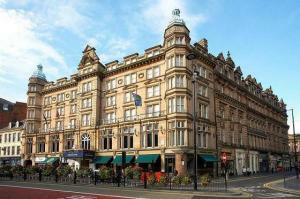 The County Hotel by Thistle, Newcastle has a superb location, right in the heart of the city centre. All of the shops, museums and theatres are within easy reach, as is Newcastle's vibrant nightlife. St James' Park is just a 10-minute walk away. The adjacent Metro and bus services offer easy access to the magnificent North East Coast, the Metro Centre and Newcastle Airport. This traditional hotel combines the magnificent architecture and beauty of a 19th-century listed building with the benefits and convenience of a modern hotel. The newly refurbished Rendez Vous Restaurant, Bar and Lounge offers a range of British and international cuisine. Room service is available 24 hours a day. Guests can also enjoy full use of the nearby Body Zone fitness centre. The Ryton Park Country House Hotel offers its guests superb accommodation in a secluded position and surroundings. Those visiting Ryton Park for the first time are often surprised to discover the facilities the hotel has to offer. Whether staying for business or pleasure, visiting for a special occasion or conference, or just calling in for a meal or drink, you are always assured of a warm and friendly welcome at the Ryton Park Country House Hotel. We are just a few minutes away from all the attractions of Newcastle, yet a world away from all the predictable and anonymous hotels which proliferate in so many cities. There are eighteen rooms to choose from in the Ryton Park Country House Hotel. Each room has been decorated and furnished so that during your stay you can enjoy the particular character and proportions of the room. What is consistent in all our rooms is the fine quality of fittings and the tasteful furnishings, to ensure that your stay with us is both comfortable and enjoyable. This homely guest house is situated in the coastal town of South Shields in Tyne and Wear, which boasts 6 miles of coastline and a beautiful pier at the mouth of the Tyne. Set within a large, double-fronted terraced house with a warm atmosphere, Athol House is just a short walk away from the beach, parks, nightlife and restaurants. Furthermore, it is only a 5-minute walk away from the local metro station, which will take you to Newcastle City Centre, the Metro Centre shopping complex and Newcastle International Airport. Recently refurbished, this modern guest house provides large and spacious rooms with modern d?cor. Enjoy meals in an original Orient Express railway carriage at this family-run seaside hotel, 2 miles from Sunderland city centre and about 10 miles from Durham and Newcastle Upon Tyne. The Sunderland Leisure and Conference Centre is next door to The Pullman Lodge and 2 popular sandy beaches are very close by. Enjoy a walk along the broad promenade or travel a short distance to the Metro Centre or some of Northumbria's great heritage sites. There are local bars and restaurant within easy walking distance. Fine food is served in the restored Orient Express railway carriages, with views of the north-east coast. A carvery is served every Sunday. Fully refurbished in 2009, the bar offers a range of alcoholic and non-alcoholic drinks. Less than a mile from Gateshead's MetroCentre, Europe's largest shopping mall, this charming hotel offers comfortable, well-appointed en suite accommodation with a nautical theme. The Rowers Hotel is also very close to Newcastle's city centre and the Quayside. With the hotel as a comfortable base, you can enjoy cultural events at the Sage Gateshead or at the Baltic Centre for Contemporary Art. Alternatively, you could experience Newcastle's vibrant nightlife. The hotel's recent refurbishments have created luxurious surroundings, but the atmosphere is always homely and relaxed. The Rowers' d?cor is nautical, to reflect its riverside traditions. Oak panelling throughout adds a warm, traditional look. The comfortable lounge has a welcoming open fire in the winter and there is a pleasant, sunny conservatory overlooking the gardens. All of the en suite rooms have a TV, radio and tea/coffee making facilities. Free Wi-Fi wireless internet access is available throughout. In the heart of Whitley Bay, close to all that this seaside town has to offer, The Venture Inn offers a range of comfortable accommodation at very competitive prices. Whether you want to sample the vibrant nightlife or enjoy a relaxing break, the property offers 22 homely and comfortable rooms at great-value rates, with a further 7 rooms available in the annexe. The range of accommodation on offer will suit the needs and budget of any visitor. En suite rooms are available, as well as rooms with shared bathrooms. All of the comfortable rooms have TVs, tea/coffee making facilities and washbasins. A traditional full English breakfast is included in the price. The premises are also home to one of Whitley Bay's more modern and popular bars. Bar V is a comfortable bar with entertainment and fun happening everyday, with a pool table, live sports and special offers on the bar at all times.